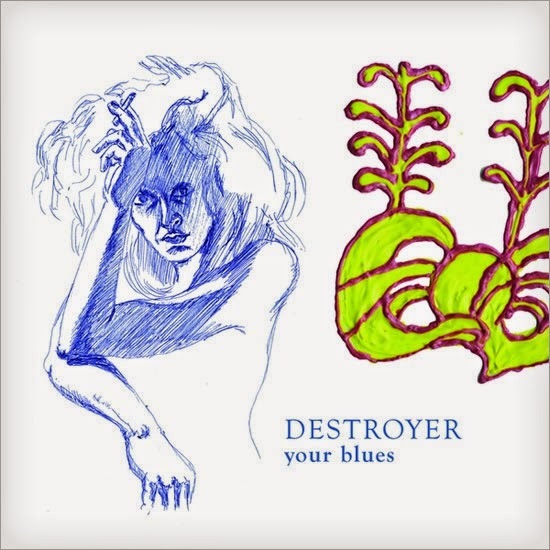 Once I grew accustomed to his dramatic delivery, I really dug this Destroyer record. I went the obvious route with cocktail inspiration, and the result was refreshingly delicious! Recipe below. 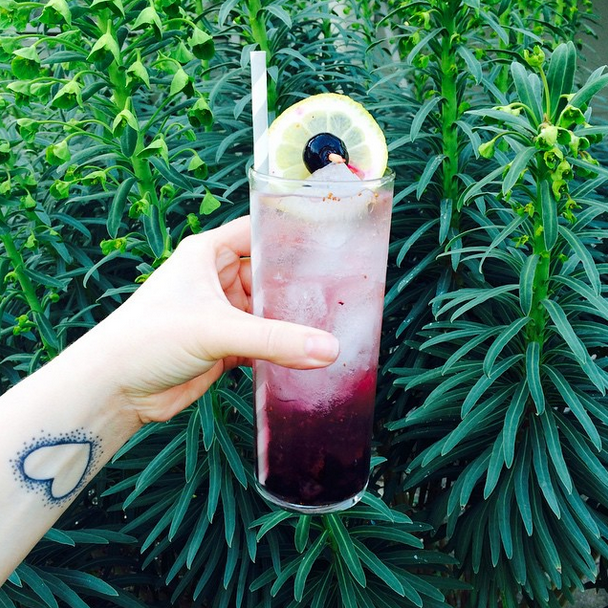 Muddle a small handful of blueberries, a lemon wedge and a dash of lavender syrup* in your glass. Add 1.5 oz gin and ice. Top with soda water, stir and enjoy! *To make the syrup, simmer equal parts water and sugar with either dried lavender or lavender water (available at the liquor store). This drink gets too sweet easily, so I only used about 1/4 of an ounce of syrup.